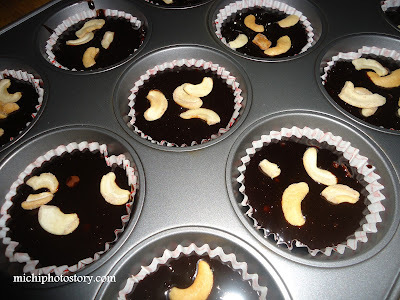 It took me months to try this recipe because every time I checked our pantry one of the ingredients is missing, nuts or chocolate chips and I know who the culprit is. Hehe! 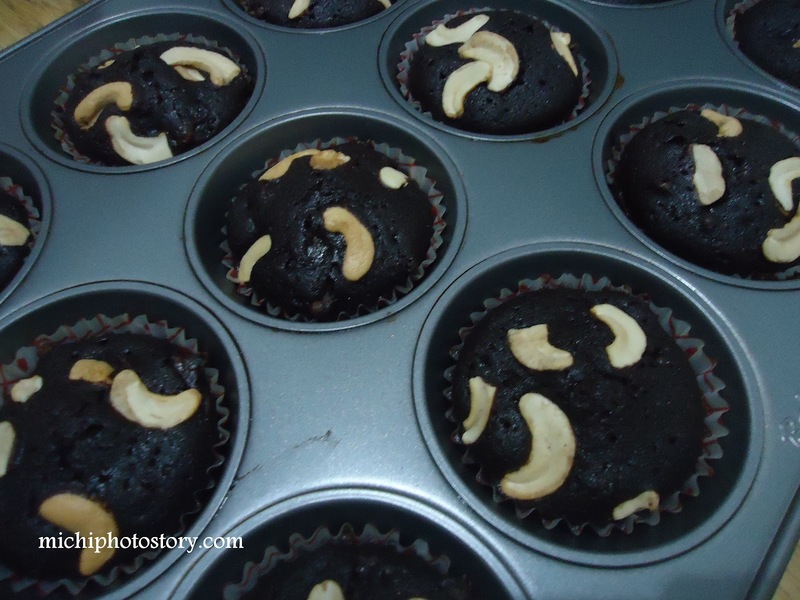 Finally, last week I was able to make chocolate brownie muffins. I got the recipe from “The Harassed Mom’s Food Journey”. I’m not sure if I over baked it because when I bite it, it is not that soft and I find it dry but hubby and son loves it, anything with chocolate. I supposed to bring this cupcake in school during my son’s rehearsal and my birthday but I forgot it. Hehe! Anyway my mother in law brought home some of this during her visit but I’m not sure if she likes it too. In a medium bowl combine cocoa and baking powder; mix to combine. Add in boiling water and mix well with a wooden spoon. Carefully pour in the melted butter and vanilla and mix well. In a separate bowl, combine the flour with salt. Add in the chocolate mixture; mix well to combine (batter will be a bit on the thin side). If using any add ons, you need to fold them in at the last minute. Make sure to coat your chocolate chips with flour so they won't settle on the bottom of the muffins. Using an ice cream scoop fill each of the muffin tins almost to the top. Add the nuts. Bake for 25-30 minutes or until muffins are done, don't over bake!